PETA - People for the Eating of Tasty Animals. And not a single duck was given that day. They're all dead now. 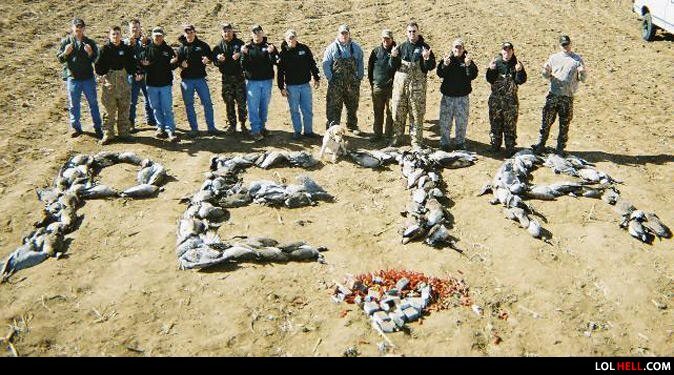 PETA blew up every person pictured here. I guess scum comes in all shapes and sizes! why can't Hellen Keller hear? she is deaf.